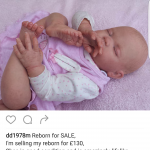 Stunning Reborn baby for sale. She is so pretty and realistic. 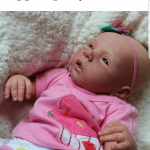 Sunandmoonbabies is offering this beautiful baby for only $400 plus shipping. 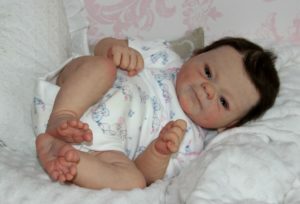 She is a pretty kit by Natali Blick and would make a great addition to a nursery. 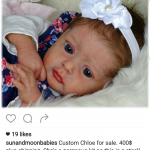 Any questions about her please contact Sunandmoonbabies on Instagram. 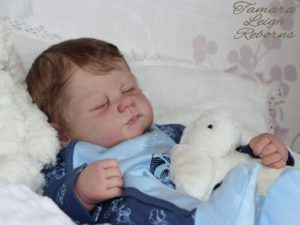 Reborn Baby Lerou Wonsjuk for sale $550 plus shipping. Her painting is fantastic. 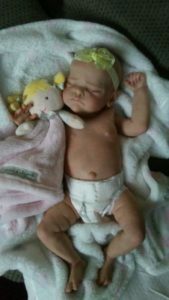 Any questions please contact dolls_n_daisies _nursery on Instagram.